Welcome to the 2018 BP MS 150 SAG Program! Special Assistance Group (SAG) Vehicles transport cyclists who are unable to ride to the next breakpoint. This volunteer position supports the BP MS 150 as the official event SAG support team, and do not support a specific team, individual, or interest group. This is approximately a 40-hour commitment. Time includes mandatory meetings, training and rental pick-up the Friday before the event/rental drop-off the Monday after event weekend. Plus, SAG duties Saturday and Sunday of the event. SAG Navigators planning to assist with driving are also required to meet three requirements set by the National Multiple Sclerosis: (1) Pass a criminal background check every three years. (2) Pass a Motor Vehicle Record screening annually. (3) Successfully complete an annual online driver safety training course. (This course is approximately 20 minutes and has a downloadable certificate. SAG Navigators not planning to assist with driving are required to meet (1) requirement set by the National Multiple Sclerosis: (1) Pass a criminal background check every three years. SAG Navigators must have the ability to lift up to 40 pounds, such as large bicycle. It is important that SAG Navigators practice patience and are able to handle high-pressure situations. There is a maximum of two volunteers per van. SAG volunteers must be able to work the entire weekend from 5:30 or 6:30 a.m. to close of the course each day. **NEW for 2019** SAG Driver / Navigator Volunteers are required to participate in one ‘hands on’ Van training on a BP MS 150 recommended ride. This will be provided on one of 2 Rides for 2018: Tour de Houston DATE TBD or Gran Fondo DATE TBD Whichever date you choose, you will be placed with a mentor and participate as a SAG. We will provide the Van, the mentor and instruction. You must make the commitment to attend one of the above offered trainings. 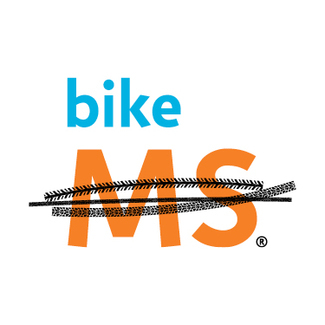 Out of town volunteers will need to have worked a similar event and/or be recommended by another Bike MS SAG coordinator. If you are unsure if you meet the above stated requirements, please contact us and we will work with you. Mike Welborn is my driver.